Are you still rockin the sorority and frat t-shirts you got in college to bed each night? Just me? Well I’m on a mission lately to change this. I have slowly started to build my pajama set collection and trade in these dingy tees for something cuter. It seems like this is a trend all around lately given the number of amazingly cute options that I found out there. So grab your morning cup of coffee and settle in (for 3 min or so) and snag yourself a cute pair of PJ’s. 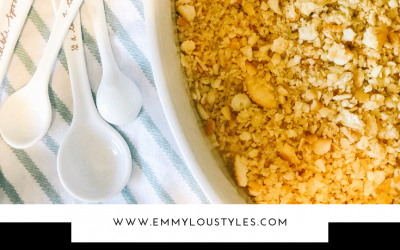 Your husband or significant other will thank you! Given the time of year, I love sleeping in matching short pajama sets. There are so many cute prints right now, so there is literally something for everyone. As I’m sure you’ve seen, fruits are on everything . 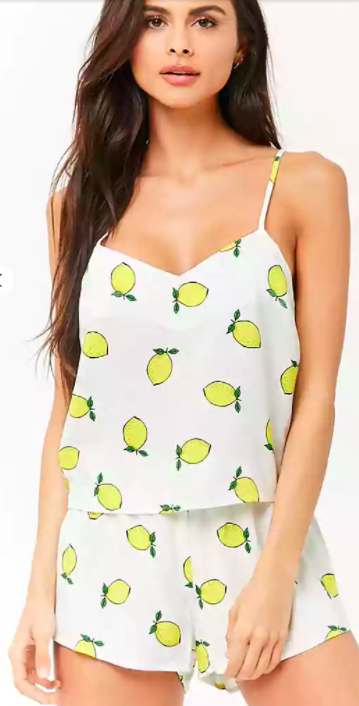 . . particularly lemons. And who can deny them, they are darling! So let’s kick off this round up with a few fruity prints! 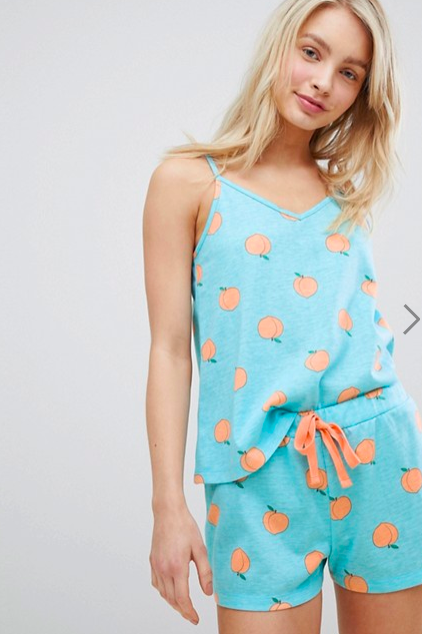 If you’re worried about the white lemon print pajama set above being too see through, check out this navy set! 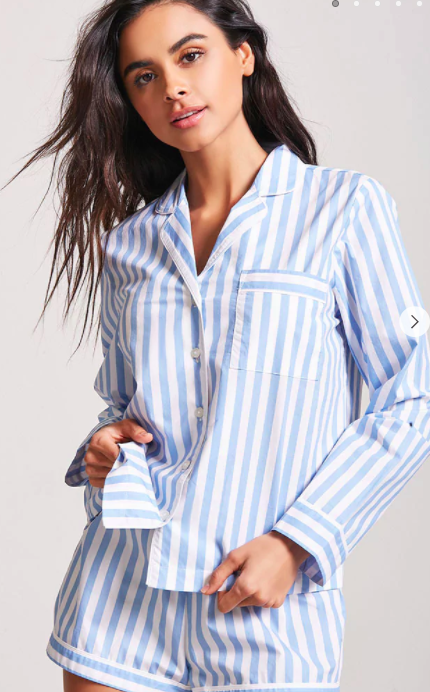 I own pajamas that are this brand and they are SO comfortable and hold up well. 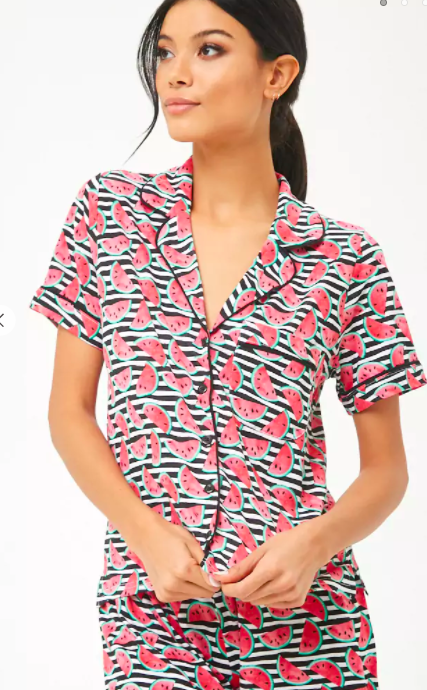 If lemons aren’t your fruit of choice, check out this watermelon print! I love the black and white stripes with the pop of pink! And you can’t beat the price on these either. I told you I wasn’t kidding when I said I found several fruit print sets! The colors on this set are so summery and perfect. Did you know that Sam Edelman carries more than just shoes?! These bird print pajamas are darling and oh so comfy too! I have had my eye on these for months, not sure why I haven’t just purchased them because they are darling. They do keep going in and out of stock, but they have continued to bring back because they are so popular. They come in a pretty pink stripe as well! I shared this set on my Instagram feed last week, you really can’t go wrong with stripes and florals! I don’t know about you, but I’m loving these pops of green and pink in this cute cactus print set! And the price is right too! This set is something I purchased from the Gap and wore in the hospital after having my son. They are the absolute softest and sadly I cannot find them on their site any longer. I am linking a pair from Target that is SO similar though. Pajama pants used to be something I owned a TON of, but then in the last few years I have purged some things and gotten rid of a lot of older pairs. 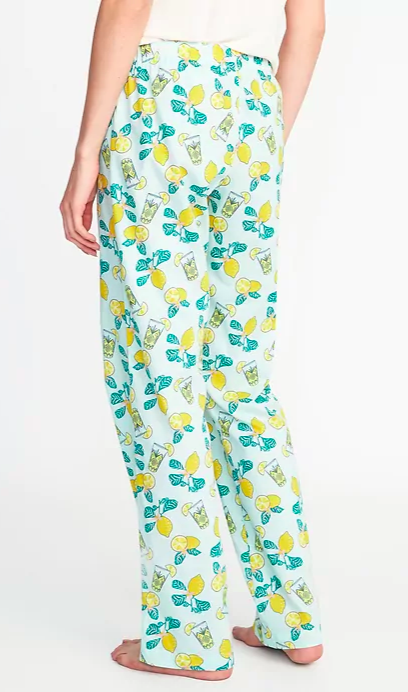 PJ pants are always so easy to throw on with a tee or tank after work, and I’ve rounded up a few of my faves from across the web! You can never go wrong with blue and white. These colors look great on everyone and they are a timeless pattern! You didn’t think I was done sharing fruit prints with you did you? 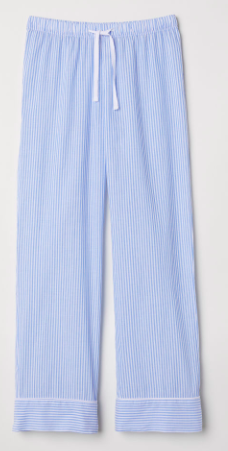 Old Navy always has us covered in the PJ pant department! This black and white set is similar to the short version above (different brand), but great price and includes long sleeves and pants. My daughter was born in the winter months so when I had her, I actually wore basically this set in a different brand. It would be great for an expecting mom! 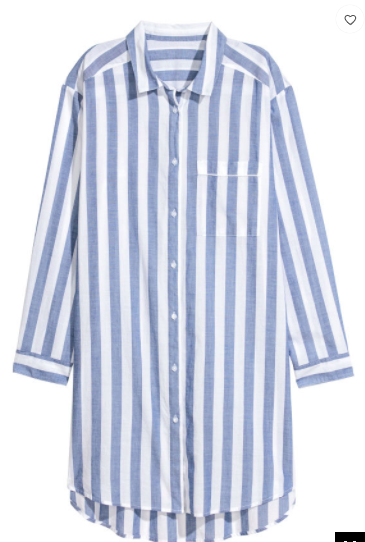 Sleep shirts are another great option for feeling cute and staying cool in the warmer months. I always find really cute ones at TJ Maxx and they are usually less than $20! Another blue and white stripe (because, hello, timeless). This one is under $30 and comes in a pink stripe too! And last but not least, I give you this embroidered number. 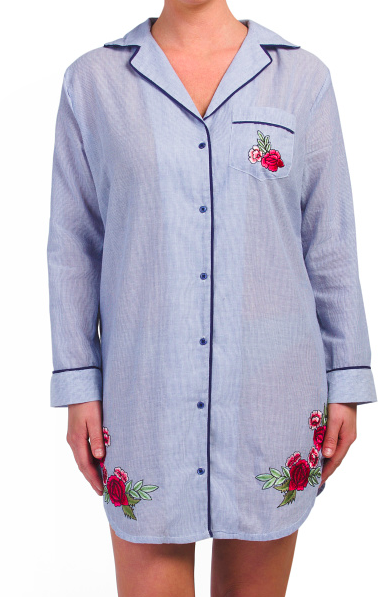 We love the embroidered trend on shirts and denim lately, why not add it to your pajama collection too! This one is under $20! Tell me what your fave is in the comments below! Have a great Sunday all!